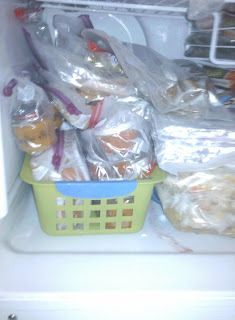 So as you all know my own little prince has been off baby food for quite some time now. 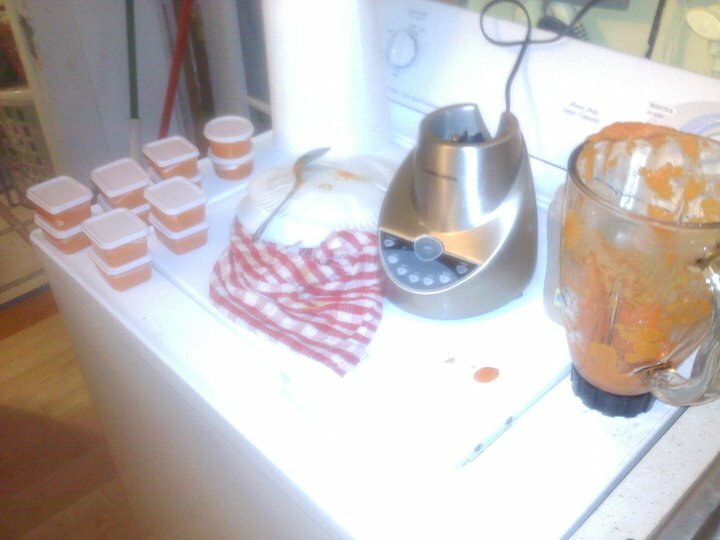 I spent most of last summer and fall posting about our adventures in homemade baby food. (For reference the previous entries are here, here, here, here and here) So Bug has had his fun times with Mommy making Organic Homemade Baby Food, but his little cousin just started. 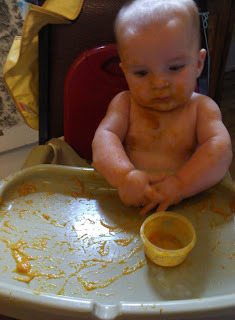 Baby Gabe is 5 months now and his Mom Sara just started making their own organic baby food. I am so excited for them because those days stirring pots and blending different kinds together were so memorable. 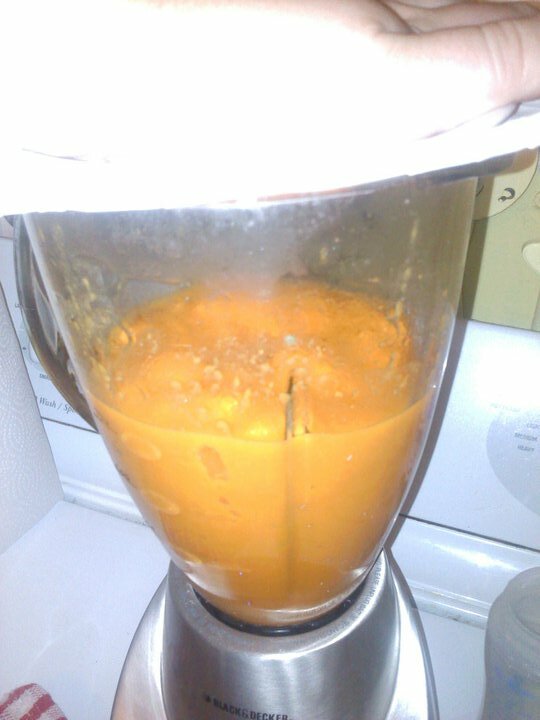 Like breastfeeding, co-sleeping and cloth diapers.... making your own baby food is something you just have to try at least once. I don't know anyone who tried it and didn't want to do it again. This particular Featured Green Mommy also composts, gardens, shops locally, and is thinking about trying cloth diapers. Since Gabe is only 5 months that still gives plenty of time to take a few 1000 diapers out of the landfill before he is potty trained. So without further ado here are the adventures in organic baby food by Mommy Sara and Gabe. Sara began with locally grown and bought organic veggies and fruit. 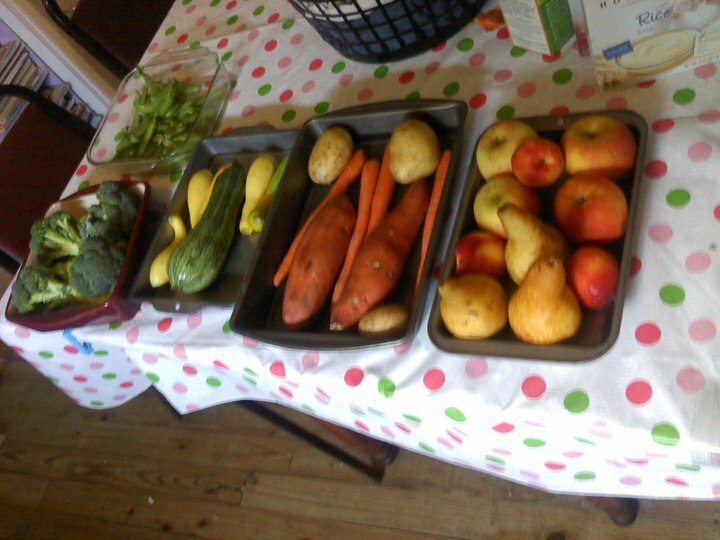 Apples, pears, carrots, potatoes, zucchini squash, snap peas, broccoli, and canned organic pumpkin. 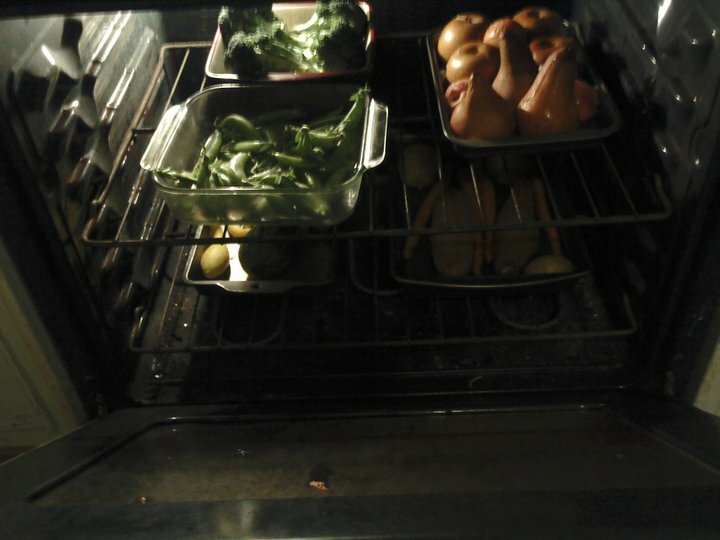 She then put them all in baking dishes, added water and let them bake. This differed from how I made mine with boiling or steaming in pots on the stove. Both methods work great but with Sara's method you can cook all of it at once. This can be a great time saver. When the veggies were done cooking she peeled them, blended them and poured the puree into small containers, ice trays, used store bought baby food jars, even plastic baggies. She filled up a whole basket with frozen baby food ready to be just warmed and served. 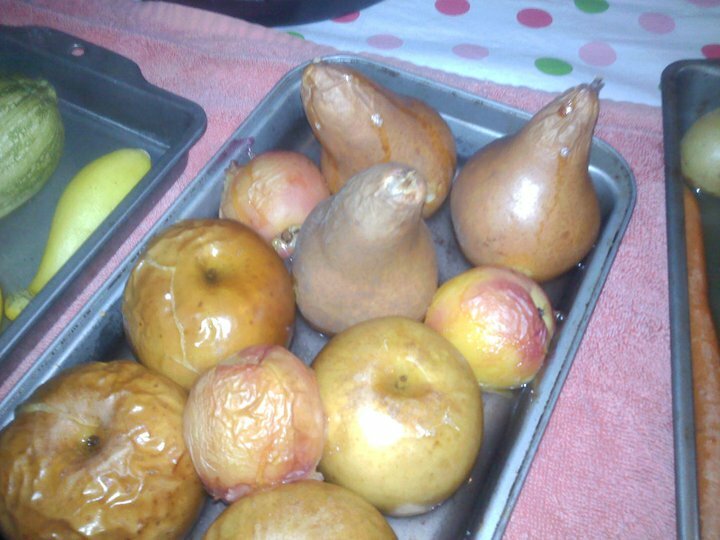 I would say she made enough for Gabe to eat for at least a few weeks.